Today Zynga reported its second quarter financial results, including revenues of $332 million and earnings per share of $0.01. Analysts expected revenues of $344.12 million, and earnings per share of $0.06. On the day’s trading, Zynga’s stock was up over 3% while the market was mixed. In after hours trading, the company is down sharply. As of the time of writing, Zynga is down over 30%. Given the magnitude of this miss, the company’s stock could fall even further. The company’s revenues were up 19% on a year-over-year basis. For a newly public technology company, that level of growth is anemic. Critically, Zynga has lowered its forecasts for its full-year earnings per share to just $0.04, from $0.09. According to Business Insider, the Street had expected earnings of $0.27 per share for the year. The company also predicted higher compensation costs, and lower total bookings. While its non-GAAP earnings per share were $0.01, Zynga lost $22.8 million (GAAP) in the quarter. The company, according to its own release, has some 300 million monthly active users. However, today’s results will likely cause some to wonder if the company can effectively monetize those numbers. This sets the stage for Facebook’s earnings release tomorrow. In after hours trading, Facebook has slipped, following this financial report. Facebook’s quarterly report tomorrow will be its first as a public company, giving it extra weight. The short take is this: Zynga just set fire to more than a third of its market value by missing expectations by a simply astounding margin. If Facebook follows in its footsteps tomorrow, we could see the IPO door for tech companies slam shut. SAN FRANCISCO, July 25, 2012 (GLOBE NEWSWIRE) — Zynga Inc. (Nasdaq:ZNGA), the world’s leading provider of social game services, today announced financial results for the second quarter ended June 30, 2012. Zynga launched six games during the second quarter of 2012, including three titles on web-based platforms: Bubble Safari and Ruby Blast, our second and third games in the arcade category, and The Ville, our next-generation “house and people” game; and three titles on mobile platforms: Zombie Swipeout, Zynga Slots, our third game in the casino category, and Matching With Friends, an original With Friends title. 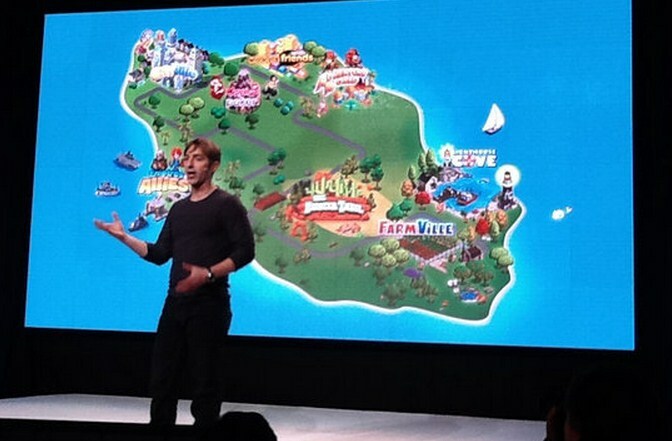 During our Zynga Unleashed event held in June, we announced the Zynga With Friends network, a unified experience that will connect all players on any platform, from Facebook to iOS and Android to Zynga.com. Zynga With Friends will roll out a social lobby that will include features and services such as zFriends, live Social Stream, chat, as well as Zynga’s newly launched multi-player feature on Zynga.com. In addition, we unveiled planned new web and mobile games across new genres, including Zynga Elite Slots in the casino genre. We also announced several new, next generation games in the popular “Ville” genre, including two upcoming games, ChefVille and FarmVille 2. Non-GAAP EPS: Non-GAAP EPS was $0.01 for the second quarter of 2012 compared to $0.05 for the second quarter of 2011 and $0.06for the first quarter of 2012. Cash and cash flow: As of June 30, 2012, cash, cash equivalents and marketable securities were $1.6 billion, compared to $964.5 million as of June 30, 2011 and $1.5 billion as of March 31, 2012. Cash flow from operations was $67.0 million for the second quarter of 2012, compared to $74.1 million for the second quarter of 2011. Free cash flow was ($204.4) million for the second quarter of 2012 as reported or $29.3 million excluding the purchase of the company’s headquarters, compared to ($0.4) million for the second quarter of 2011.